The Vermont One Touch™ program, developed by Tohn Environmental Strategies, receives the 2017 HUD Healthy Homes Award. One Touch™ Vermont is the only weatherization program in the country to incorporate healthy home assessments into all state-supported weatherization projects in single-family homes. Using One Touch™, weatherization, housing and health programs connect clients to other services through an electronic referral system. 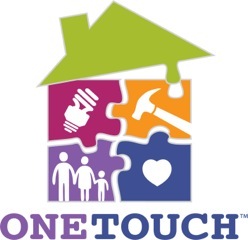 One Touch is operating in cities and states around the country. “Vermont’s One Touch Program, led by the state’s Weatherization program is a national model,” said Martin Nee, HUD Region 1 Healthy Homes Representative. “Their efforts to streamline and coordinate the delivery of energy, health education and housing rehab services ensures healthy outcomes for clients and families. Read more..
As community benefit programs are planned and carried out, the health effects described above — a decrease in obesity, diabetes, cardiovascular disease — are apparent. What is less apparent are the health effects related to protecting the environment and addressing factors that drive climate change. These can be significant and impact the health and well-being of our communities. Why include environment and climate issues in community health improvement? Pollution and other environmental risks are known to affect physical and intellectual growth, child development, allergies and respiratory problems and illnesses such as cancer and heart disease. 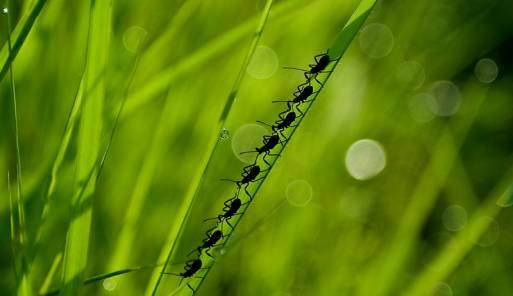 Climate change, with its rising temperatures and extreme weather, can lead to greater occurrence of diseases carried by increasing numbers of ticks and mosquitoes, exacerbations of chronic illness such as asthma and heart disease because of extreme heat events, air quality problems and local and global water quality problems. For a more in-depth description of climate change and environment impacts on health, see the Catholic Health Association’s publications Connecting Health Care with Public and Environmental Health and Climate Change and Health: Is There a Role for the Health Care Sector? When we pay attention to climate change and other environmental issues, we not only show concern for the planet and its living things, but also for the health of our communities. When our community benefit programs have an impact on the environment, we create co-benefits to improve health and the environment. Assess existing programs. 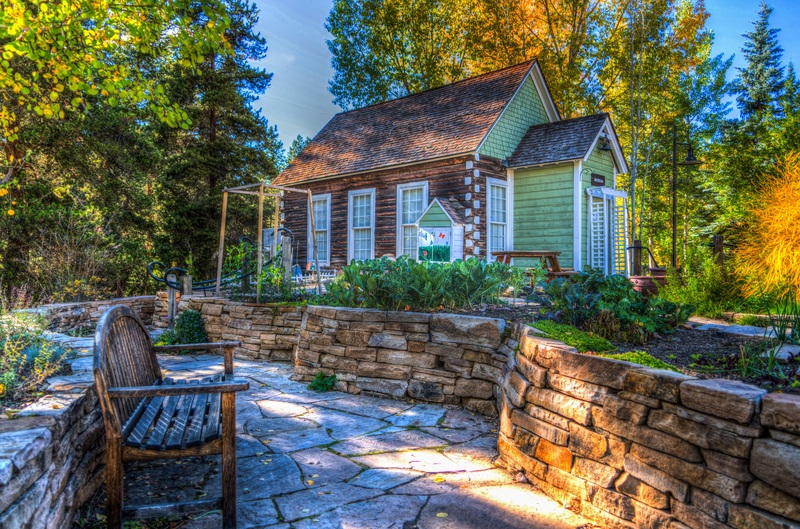 Existing community benefit programs may have environmental co-benefits. For example, programs that promote exercise such as biking to work and school, or creating walking or biking paths, can reduce transportation emissions. Hospitals can assess their current programs to identify those that already are impacting their environment by asking if these programs reduce transit emission, fossil fuel use, other greenhouse gases or pollutants. Plan with the environment and climate change in mind: As new community benefit programs are developed, opportunities for having an impact on climate change and the environment can be built into the program design so the program has environmental co-benefits. For example, when farmers markets or healthy food alternatives are supported, greater emphasis could be placed on promoting a plant-based diet to reduce the methane and other greenhouse gas emissions associated with beef production, as well as less energy- and chemical-intensive sustainable food production methods. Use the community health needs assessment to identify environmental and climate issues. CHNAs can include environmental and climate issues among the indicators covered by the assessment. For example, water and air quality and toxic waste are identified by the federal government initiative Healthy People 2020 as objectives for community health improvement.1 Community Commons, a website that offers public access and mapping capabilities for data related to community health, also provides key indicators related to environment and climate risks (e.g., high heat days, heat stress visits to emergency rooms, air pollution — ozone and particulate matter).2 These issues could be identified as priority community health needs. Here are examples of community health strategies that can have community benefit/environment/climate change co-benefits. For more information on potential strategies, consult Leveraging Hospital Community Benefit Activities to Address Climate and Environmental Risks, prepared by Health Care Without Harm and Practice Greenhealth, and Healing Communities and the Environment: Opportunities for Community Benefit Programs, prepared by CHA and Health Care Without Harm. Access strategies. A frequent approach for increasing access to health care is bringing health care to people who have faced barriers to care, rather than requiring them to find transportation and travel to sources of care. This may be done with mobile units, neighborhood clinics, school-based clinics or telemedicine. These activities not only increase access, but reduce vehicle miles patients and families travel, thereby reducing outdoor pollution and release of greenhouse gases. Employer-based health screening programs also can help improve health outcomes using strategies that reduce transit emissions. Promoting smoke-free environments. Policies that create smoke-free environments in workplaces, public spaces, restaurants and multifacility housing have been shown to reduce youth and adult smoking. These policies help to prevent heart disease, stroke and many cancers. Smoke-free environments also reduce indoor pollution. Substance abuse. Many hospitals are working with law enforcement and community organizations to stem the abuse of prescription drugs by holding pharmaceutical collection events. Through these “take back” programs, community members bring in their unused pharmaceuticals, including opioids and other controlled substances, for safe disposal. Not only do these programs address the problem of substance abuse, but they also prevent the drugs from entering communities’ water supplies. Investments in local healthy food systems. Some hospitals have worked to invest in local sustainable food businesses. Such operations hire locally and increase access to healthy food, which is produced in a sustainable way using less energy-intensive fertilizers and chemicals. Local food production also reduces transit emissions and increases community resilience. Support for active transportation resources. Active transportation strategies that get people out of their cars have been shown to effectively combat obesity and diseases linked to being overweight. Opportunities exist to engage in regional transportation planning and support development of public and walking/biking options. These strategies also are effective in reducing transit emissions linked to air pollution and climate change. Hospital community benefit programs can report co-benefits through both formal and informal reporting mechanisms. As required by Internal Revenue Service rules, tax-exempt hospitals follow a three-year cycle of assessing community health needs, setting priorities, developing implementation strategies to address priority needs and again assessing community health needs. Subsequent assessments must include a description of the impact of the strategies related to the prior assessment. These impact descriptions can include all of the activities’ effects, including climate and environmental impacts, as well as the impact on prioritized community health needs. Co-benefits also can be reported on the IRS Form 990 Schedule H in Part VI, where hospitals are asked to “provide any other information important to describing how the organization’s hospitals or other health care facilities further its exempt purpose by promoting the health of the community.” This question presents an opportunity for describing the hospital’s commitment to improving community health through environmental improvements and climate change initiatives. A hospital also can include the co-benefits in other narrative reports, such as community benefit reports or annual reports, articles and presentations. Be sure, also, to include community benefit programs with environment and climate change co-benefits in any environment reports and assessments of the organization’s carbon footprint. As you explore how to incorporate environmental and climate co-benefits into your community benefit work, it often is helpful to reach out to hospital and health care system environmental or sustainability staff. They can help you access data on environmental and climate risks, provide technical support as you assess the potential co-benefits and assist in communicating how the community benefit work also is addressing environmental sustainability goals. At several Catholic health systems, environmental staff have helped summarize data on the climate health impacts for the CHNA and are working with community benefits staff to seek opportunities for co-benefit work. Looking at community health, the environment and climate change in the same glance can lead to improved community health and environmental health, address climate change and demonstrate the organization’s commitment to the common good. Improving community health while protecting the environment may seem like a new and challenging task. However, a healthy environment is the foundation of a healthy community. By eliminating or minimizing environmental risks, we help keep people from experiencing disease and disability and improve their well-being and quality of life. This is our ultimate goal — not treating diseases we could have prevented. JULIE TROCCHIO is senior director, community benefit and continuing care, the Catholic Health Association, Washington, D.C.
ELLEN R. TOHN is a consultant to Health Care without Harm, Reston, Virginia. She is founder and principal of Tohn Environmental Strategies LLC, based in Wayland, Massachusetts.